Namaha Yoga offers holistic approach to personal healing process from Heartfelt Vinyasa practice, Dynamic meditation, Mantras & Mudras, Kids Yoga, Acrobatic and Thai massage or Therapy session. Our upcoming teacher training will be the first to take place at Namaha Yoga Studio, Lombok! Running this in our home offers the added bonus of reduced pricing and an intimate experience of local culture. 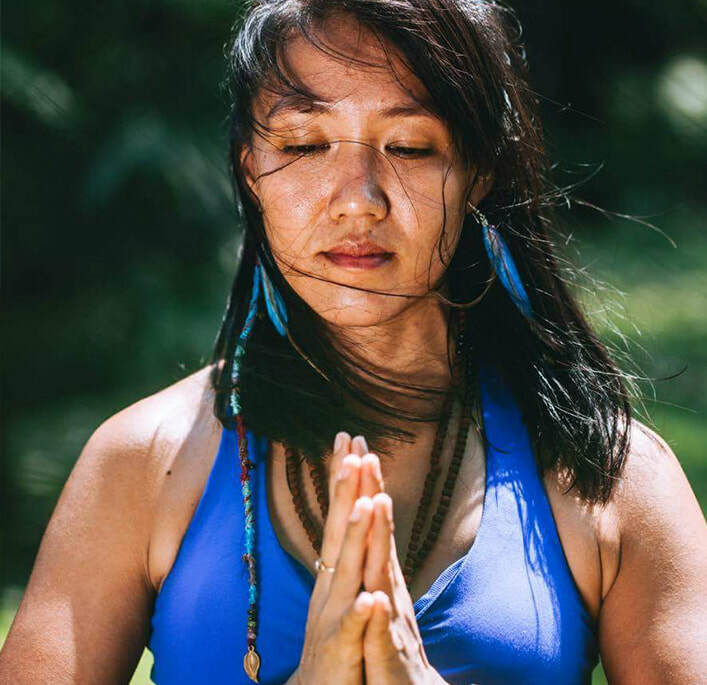 A loving and compassionate yoga teacher from Lombok, Indonesia, Indra has been practicing yoga for over 16 years. Her accreditations include 500 hours yoga therapy, 200-Hour Teacher training in Hatha Yoga from INSPYA School, Sun Yoga for kids, Pre & Post Natal yoga. Sierly is passionate about flow yoga and Buddhism. She shares a great energy and dynamic flow in her classes. Don’t judge her petite figure, be ready to feel strong and great after her class. Directions: From Pizza Hut on Jl. Bung Karno, head South. Take the second U-Turn and you will see the Wisteria (wedding shop). Turn left and you will see Indra Yoga Studio at the end of the street. Contact us for Information & Bookings!